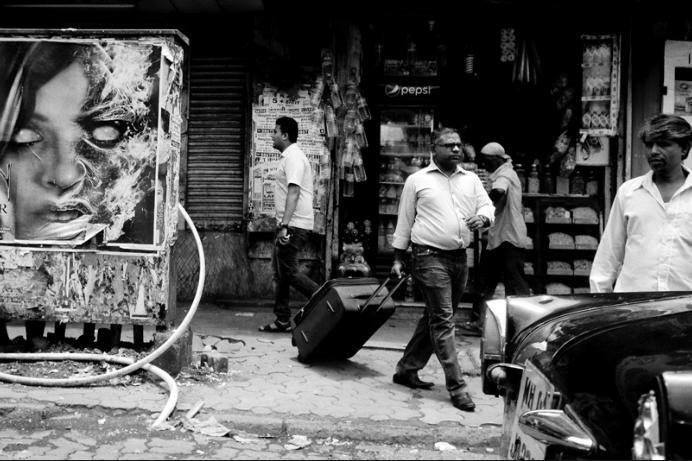 Nearly two years ago my wife’s work took us to Mumbai, India. This was at a time when I was finishing up a more-than- decade-long cycle of documentary work in Central America. I believe in bringing projects to completion, or at least to resting points, but this inevitably leaves me searching for the next subject. Ever since we arrived in what journalist Suketu Mehta aptly named, “The Maximum City,” in his book of the same title, I have been looking for those new stories to tell. 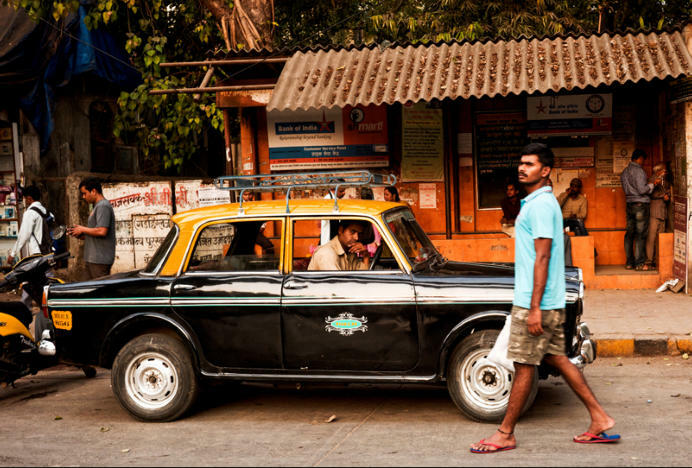 People who travel to India rarely spend more than a few days in the once and present Bombay. They visit the old far south neighborhoods of Colaba, Kalagoda, and Fort. They take a Bollywood tour, a walk down Marine Drive, maybe visit Elephanta Island and depart hastily for more photogenic, more easily navigated parts of India -- south to Goa, north to Rajasthan. No one knows quite how many people live and work in Mumbai trying to make their fortunes in the non-stop mega-city hustle. Mumbai is perhaps 25,000,000 people or maybe a few million more, packed onto a reclaimed peninsula that was once seven islands. It is always crowded, always loud, always hot, always something new on the streets. I realized that amid all the subjects, all of India’s manifold stories, that old Bombay, ever-new Mumbai, was the main one that I had the privilege of taking on. 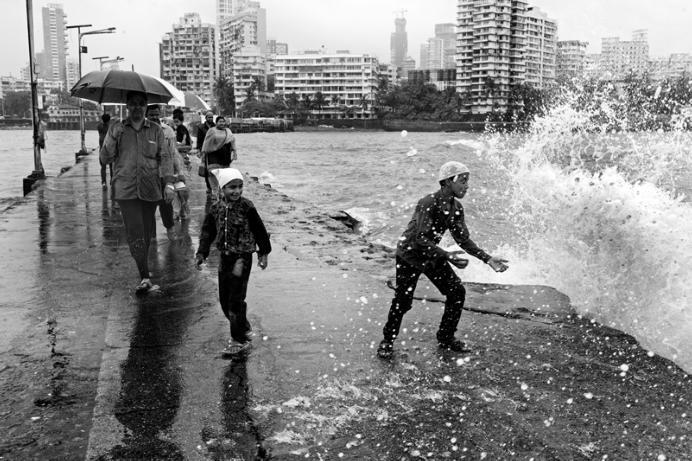 I have tried to show the chaos and rush of Mumbai and the city’s simultaneous loneliness and isolation. Presented here are a selection of images from these past two years. A Rajasthani woman (who married a Mumbaiker) and her baby in the northern suburbs. A Mumbai cab driver in the late afternoon of the hot season, Lower Parel. 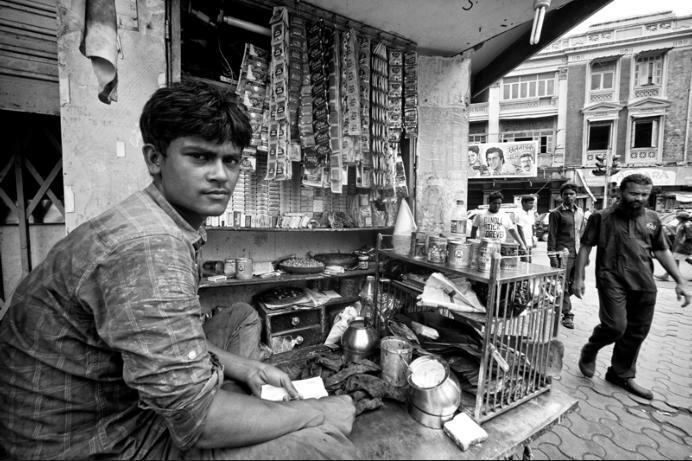 A paanwalla and cigarette seller, Mumbai Central area. 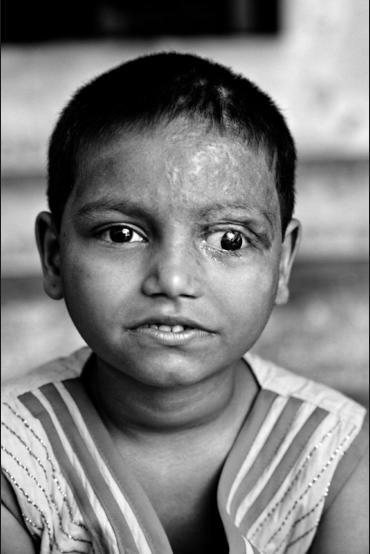 A young girl who was burned as a baby. Northern suburbs. People walking just after sunrise on Worli Seaface. 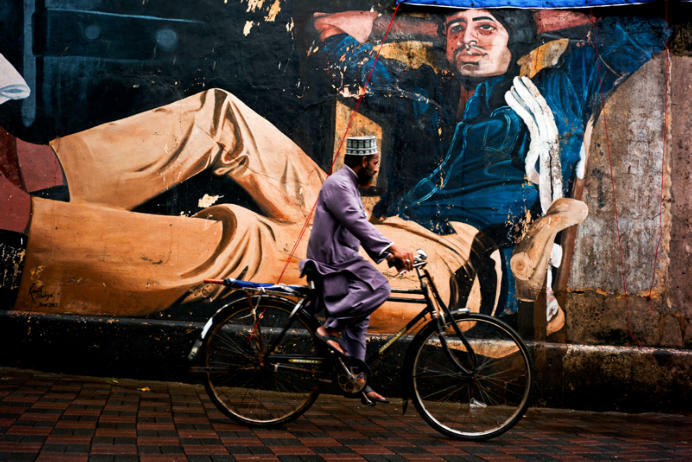 A Bohra Muslim rides his double-frame Hercules bike past a mural of Amitabh Bachchan. Bandra. 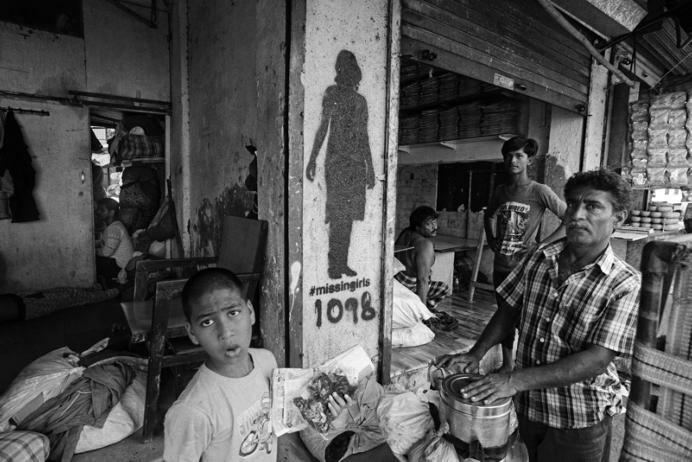 A Mumbai street scene unfolds in Byculla. 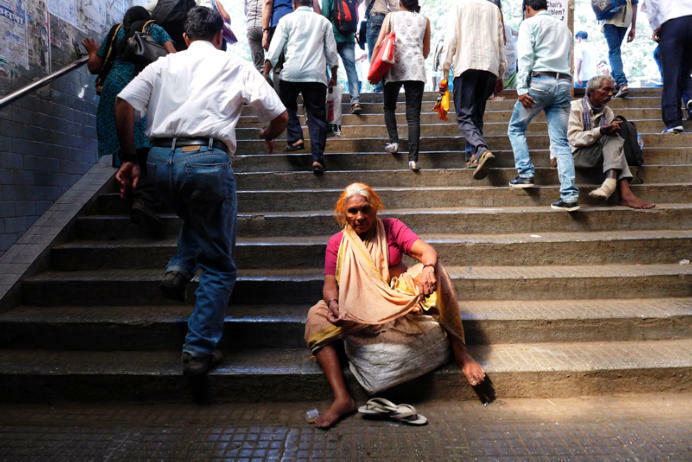 A woman stops to rest as the crowds rush past her out of Chhatrapati Shivaji Terminus in south Mumbai. 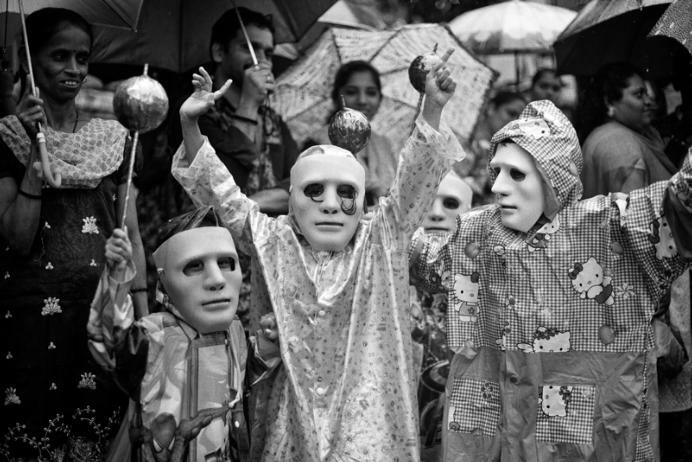 Revelers in the rain during the Ganpati processions where idols of Ganesh are taken to Chowpatty Beach to be immersed in the Arabian Sea. 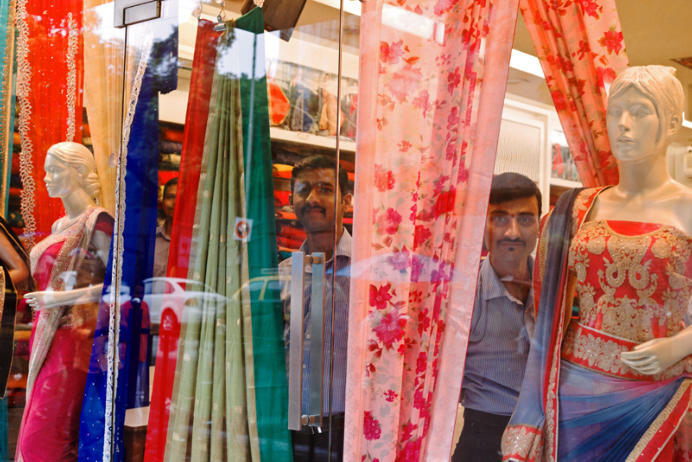 Three sari salesmen peer out of their shop window, south Mumbai. Every shop-front is a varied scene of different lives. Worli. 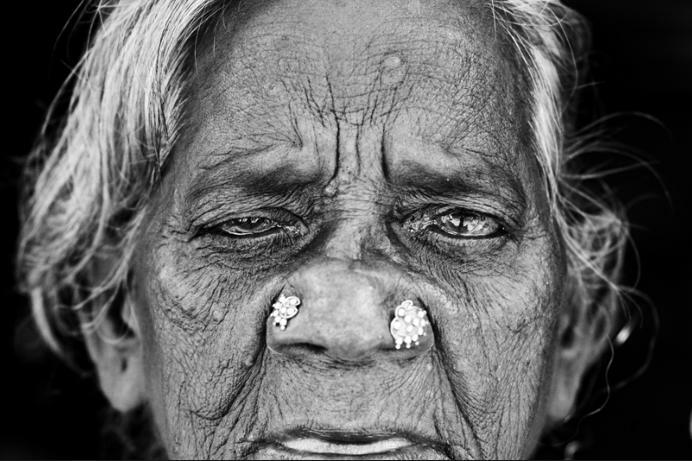 An elder woman allows me to take her photo in a doorway, Mumbai Central. 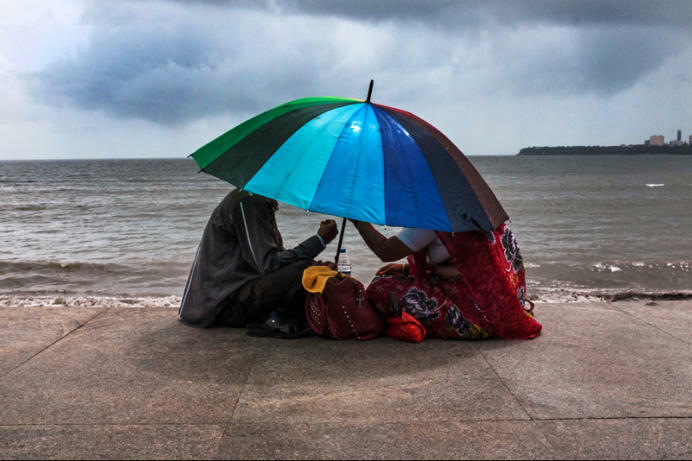 A man and a woman have a monsoon picnic on Marine Drive. 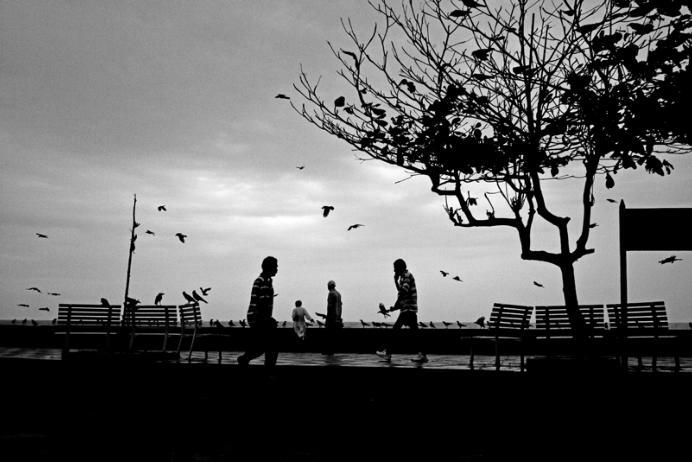 A family walking the causeway to Haji Ali mosque on a monsoon day. 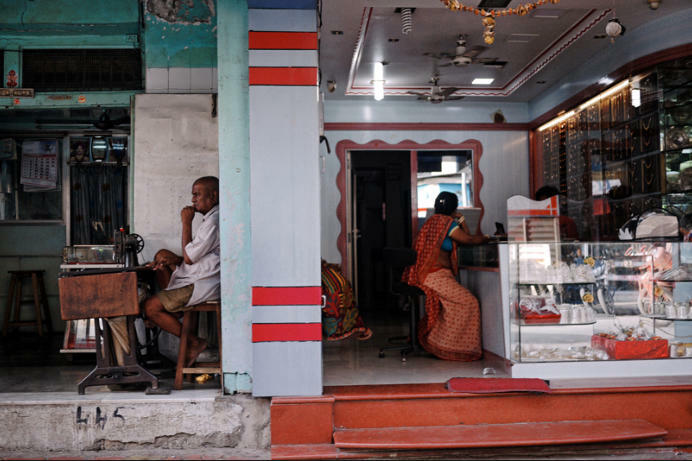 Men in storefronts deep in the Kamathipura red-light district.